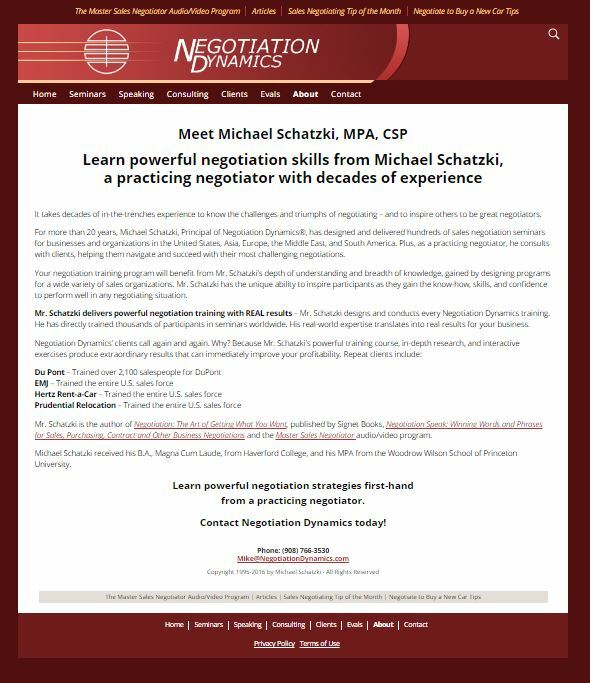 NegotiationDynamics.com was a 20-year old website, running on ASP, that had become unwieldy for my client to manage. I had constructed several WordPress websites for this client over the years, so he requested that I recreate his ASP site in WordPress. That way, he could update and manage it more readily. Also, he wanted the site moved to another hosting company. The site had been successfully selling seminars, consulting and audio programs for years and my client wanted to keep the exact same structure, look and layout. I configured a WordPress theme to mimic the original site’s colors and text styling, but with the improvement of making the site responsive for viewing on mobile devices. The 30+ pages were mostly text, some with complex interleaved bullet/numeric lists. 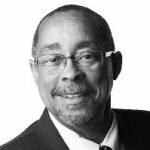 Copying the text from the original site, stripping out the formatting, then pasting and reformatting in the WordPress site turned out to be the most expedient way to migrate the content. I essentially just “scraped” the original site front end and did not access the ASP backend at all. Lastly, I set up 301 Redirects in the .htaccess file, so people using links to pages on the old/original site would land on the corresponding page in the new site. These redirects also preserved the Google PageRank that these pages had accrued over the years.